Jason Campbell, CC/NRP, Chief and CEO of South Central Emergency Medical Services in Dauphin County, PA, is absolutely convinced that his EMTs now need EMS bulletproof vests. The tipping point for him was when a knife-wielding attacker stabbed an EMT answering a call in Harrisburg. For Robert Weidner, Chief of Yellow Breeches EMS out of Mount Holly Springs, it was the mass shooting several months ago in Las Vegas. Plus his concern about the rising number of calls coming in due to the opioid crisis. Then there’s Dauphin County’s Community LifeTeam member Dani Kamenar, an EMT, who when she was 32 weeks pregnant was brutally struck in the abdomen by a patient. Her protective vest absorbed most of the blow. But the placenta was still partially torn from the uterus. This caused the early arrival, by four weeks, of Dani’s baby. EMTs are increasingly at risk of being assaulted while on calls trying to save lives. To counter the threat in central Pennsylvania, many more ambulances are being equipped with body armor. According to Weidner, Yellow Breeches recently purchased EMS bulletproof vests for its first responders to wear on a voluntary basis. This is the first EMC in Cumberland County to offer such protection. The significance of protective vests was put into high relief in November 2015 when Zachery Meyers, another EMT with Community LifeTeam, went out to Harrisburg on a domestic violence call. Upon arrival he found himself fending off an attack by an alcoholic woman repeatedly coming at him with a knife. Fortunately, the vest he’d recently purchased kept her from plunging it into his chest. Barry Albertson, Director of LifeTeam, said that the Pinnacle Foundation generously provided a grant. This grant went a long way towards the purchase of EMS bulletproof vests for members of LifeTeam. Most EMTs wear them, but it isn’t mandatory. Some had already bought vests with their own money, knowing they needed the protection. Wal-Mart provided a $1,000 grant to help with the cost of EMS bulletproof vests for Yellow Breeches, which counts 20 – 25 EMTs for five rigs. They purchased 15 vests for a total of $3,000, equipping each rig with 3 protective vests, Weidner said. Violence is so much more prevalent these days, “with attacks on EMTs having gone up very dramatically in the past few years,” said Albertson from Community LifeTime. He went on to say that it’s easy to blame widespread opioid use and other types of drugs, but he really isn’t sure. Using Naloxone on an overdose victim often causes an unexpected violent reaction as the person is being revived. But, there also seems to be a lot more violence in society as a whole. Lori Moran, spokesperson for Holy Spirit EMS out of Cumberland County, says they haven’t issued any bulletproof or ballistic vests. And they are not requiring their EMTs to wear them. Jason Campbell, Chief of South Central EMS out of Dauphin County says they buy protective vests for any employee who requests one, but the EMT must pay 25% of the cost out of their own pocket. They have 97 first responders, representing about 37% of the total, who now wear them, and he wears one as well. After the knife attack on Zachery Meyers of LifeTeam, “I had to face facts and decided the time had come,” said Campbell. “This happens once or twice a month. People have no idea how dangerous this job is and how often our first responders get attacked,” Campbell said. “We’ve had knives, tire irons and guns pulled on us, but luckily no one has actually been shot yet,” he added. “I myself have been assaulted more times than I care to count throughout my 23-year career, drawing blood on some occasions,” Campbell said. “Today, I would never go on a call without wearing a vest,” he added. He honestly does not think it has to do with the opioid crisis, but rather it’s society in general that’s just getting more violent. A 911 call requesting an ambulance does not on the surface seem like it could turn violent. But, last year a caller suffering chest pain called and the situation got so out of hand that an EMT was threatened with a gun, Campbell said. “There is no way you can predict this from the dispatch and so you have to wear one on every call,” he said. Campbell said that South Central began purchasing vests in January 2016. Prior to that one or two EMTs wore them periodically. South Central has made the decision to have their EMTs wear them under their shirts, which is how the police wear them. “If we wore them on the outside it would seem as if the military were invading your home,” he said. Each vest offers Level II protection, similar to the vests worn by police, and fitted to each EMT. South Central covers 75% of the nearly $700 cost. Fortunately, South Central can cover the purchases, but Campbell acknowledges that a lot of other EMS providers simply cannot, even when they acknowledge the need. “Our company has enough financial stability, so we’re able to cover our 75% of the cost for each vest,” he said. If the EMT leaves our employment, they keep their vest. “If they end up working for another EMS that doesn’t issue vests, at least they’ll have protection,” he said. Other EMS organizations, like Dauphin County’s Susquehanna EMS, let each EMT decide on their own whether or not they want to wear a protective vest. Chief Matt Baily said that out of their 49 EMTs, 12 wear their own EMS bulletproof vests. His family bought one for him two years ago because they were worried about the increasing violence EMTs were facing. “It became so clear to everyone when the LifeTeam EMT was assaulted with a knife,” Baily said, remembering the Harrisburg incident in 2015. Susquehanna EMS just cannot afford the cost of protective vests, Baily said. Each one must be fitted properly for each provider. With the amount of turnover they get, it is simply an unaffordable option. The good news is that there hasn’t been any knife or gun attacks in the last 13 years, the period of time that Baily’s has been working for Susquehanna EMS. Even so, he added, “Our EMTs can arrive on a call and find themselves being attacked – aggressive patients often strike out hitting and kicking. This happens on a fairly regular basis. Nathan Harig, spokesperson for Goodwill EMS out of Carlisle, said they’ve been discussing all sides of the issue for the past six months. “We’ve been in extremely threatening situations that did not involve the typical active shooter scenario,” Haig said. He went on to cite an incident in which a startled homeowner shot an EMT. The man had unknowingly triggered his medical alarm in the middle of the night, and being half asleep and stunned when the EMT arrived, he shot him. He went on to say that EMS bulletproof vests do not protect heads and they leave armpits exposed as well. Wearing one could possibly lead someone to feel invincible. Others are not keen on the idea of an EMT walking into a nursing home or senior center wearing EMS body armor. Harig is convinced that the opioid crisis isn’t the main issue. “Anger and violence are infecting our society,” he said, with all these mass shootings. 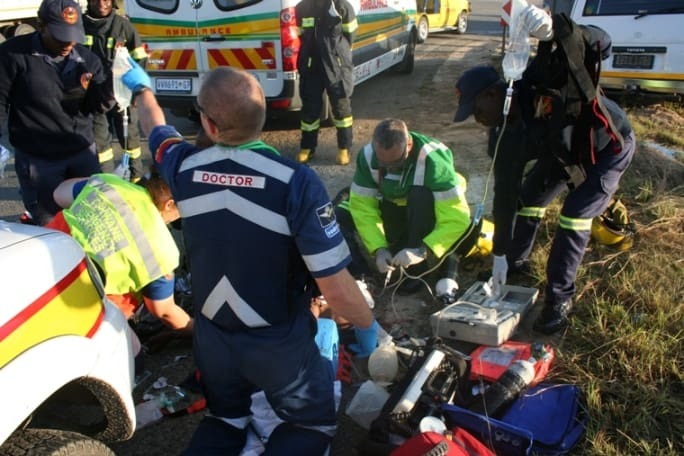 The primary killer of EMTs is still traffic accidents; next in line would be heart attacks or other medical problems. Scott Gilbert, spokesperson for Life Lion EMS at Penn State, said they do not require their EMTs to wear protective vests on calls. But, they do allow individuals to buy and wear their own EMS bulletproof vests if it makes them feel safer. The goal set by Lancaster County’s Susquehanna Valley EMS is to find the money to purchase vests in 2018, said business development manager Terri Givens. They have 70 EMTs they would like to equip. Although no one in their agency has been injured so far, mass casualty events spreading across the country, as well as other incidents occurring in the area in recent months has people concerned, she said. Last November a man in Manheim Township, who was threatening to kill his wife, actually fired off several shots just as EMTs responded to the call. Domestic calls continue to be among the most volatile and unpredictable. At Elizabethtown’s Northwest EMS, there are 25 to 30 EMTs, of which 12 have their own vests, said operations supervisor Edna Kline, who added that they’ve got more on order. Protective vests for EMTs are increasingly becoming more common, she said, something she’s noticed in the last eight months. “People have changed how they respond to calls, including getting EMTs confused with police. Wearing a vest gives first responders a sense of safety,” Kline added. Still, it’s optional for their EMTs. “Some really don’t think they need a vest at this time,” she said. Mental health issues, along with spreading opioid use, contribute to the danger that EMTs face on the job, Kline said. Director of Manheim Township Ambulance, Darryl Mitchell said their EMTs are allowed to decide on their own whether to wear a vest or not. Out of 30 providers, just three or four are wearing them, Mitchell said. This just started last year and he doesn’t think the reason is because of the opioid epidemic, but he admitted that others believe otherwise. Director of Operations at Lancaster EMS, Jerry Schramm said that approximately 25% out of their 150 providers have started wearing EMS body armor. Some bought their very own using their uniform allowance to help with the cost. Several others were bought with funding from a grant. With each one costing no less than $500, they cannot afford to purchase EMS bulletproof vests for everyone, Schramm said. Most of their vests were bought in the last two years, he said. “Of course it’s the violence in the environment, with active shooter incidents and mass shootings. 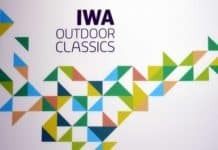 These recent events has certainly raised awareness in our industry,” he added. Some EMTs have been injured, but not seriously and no one’s been in any major shootings. “Once we get the funding, we will definitely move in the direction of providing more safety,” he said. Dennis Reigart, president of West York EMS says in the last eight months they’ve bought 10 vests for each shift. At an approximate cost of $5,000. We are requiring that our 27 EMTs put a vest on if they’re going out on a shooting or a domestic incident, Reigart said. “They are not thrilled about wearing them because they’re heavy, about 25 lbs. But they know what they’re up against with certain types of calls, and that they are far better off with a vest on. But, the reality is that on other types of calls, they could be facing a violent situation as well,” he says. “It’s what’s happening in the country at this time. There’s violence everywhere – it’s not all the opioid epidemic,” he said. Joe Stevens, spokesperson for York Regional EMS, says they cannot provide vests for their 48 EMTs. They just don’t have the budget. 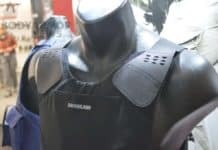 Unfortunately, a properly fitting bulletproof vest can go as high as several thousand dollars, he said. 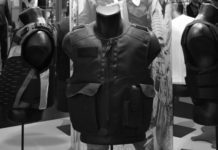 His worry is that one-size-fits-all vests, although they may be less costly, would not provide an adequate level of protection, and that could become a liability problem. Steven also believes that if they spend the money to purchase the vests. The EMTs should be mandated to wear them on every single call. “Every call is just as dangerous as the next,” he said. Brian Smith, Director of First Aid & Safety Patrol out of Lebanon says they do not buy vests for their EMTs. But they are welcome to wear their own. The main obstacle is cost. They have over 100 staff members who work there. He is encouraged because vests have become less expensive in the last few years. They’re easier to put on and take off and a lot more comfortable to wear. “There’s more situations in which EMTs are suffering physical abuse – being punched and kicked,” he said.